It’s easy to find exchange coupons, discounts, and more at MyMilitarySavings.com for your next shopping trip at Joint Expeditionary Base–Little Creek, formerly known as Naval Amphibious Base Little Creek, in Virginia Beach, Virginia. Our mission is to serve as your one-stop shop for savings, taking the guesswork and hassle out of the process for you. We’ve gathered coupons from a variety of sources and put them into a single, easily navigated site, and we even have links to the Navy Exchange (NEX) website and other trusted sites for additional savings information. Don’t forget to set your location on the My Home Base page to NAB Little Creek. That way, you’ll be able to see hours of operation, phone numbers, and other information about your local exchange store at a glance when you log in. You’ll also be able to see details about upcoming events in your area, popular savings information, and even exclusive sweepstakes opportunities. Plus, with the My Home Base Circular, you’ll be able to view even more coupons and discounts for shopping at the exchange and commissary, all in a handy interactive ad that allows you to view additional information about any product with a single click. 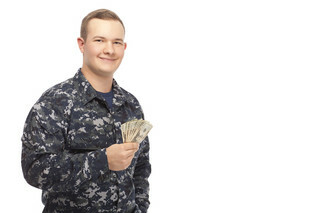 If you’d like to find out more about how we can help you save at the NAB Little Creek exchange, enroll for your free account at MyMilitarySavings.com today.